In November last year I attended the Marc Chagall: Russian years 1907-1924 exhibition at the Santa Giulia Museum in Brescia, Italy, where works by Chagall are currently displayed in conjunction to responsive pieces by Dario Fo. Chagall’s romantic The Promenade inspired Fo’s creation, titled Un colpo di vento e Bella raggiunge il cielo, which translates as A gust of wind and Bella reaches the sky. Bella was Chagall’s beloved wife, and the subject of many of his paintings. 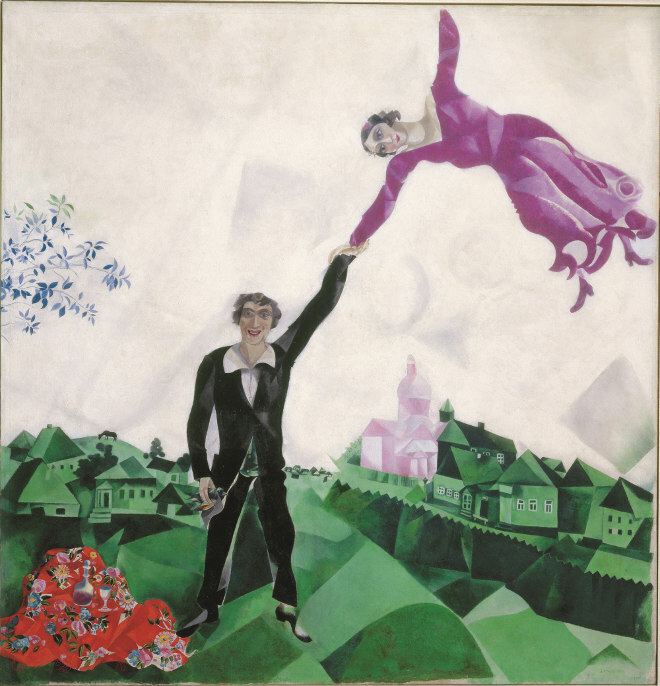 While Chagall’s artwork shows the airborne woman anchored by her love for Chagall, in Fo’s interpretation, she seems to be buffeted – helplessly at the mercy of the wind. Her devoted lover races after her, his body language a panicked cry. Either work on its own is ideal as a writing prompt, but I ask you to consider what happened between The Promenade and Fo’s responsive painting. What has changed between this couple, and why? 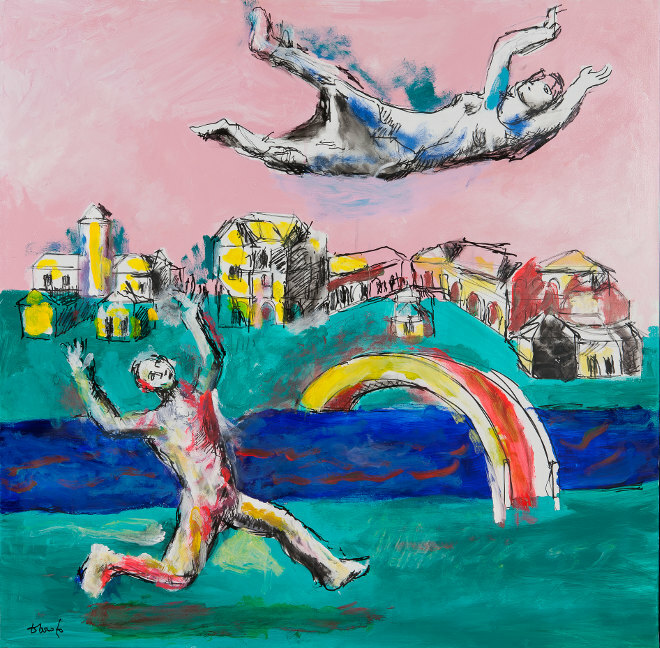 The Marc Chagall and Dario Fo Exhibition will be at the Santa Giulia Museum in Brescia, Italy until 15th February 2016. The Flying Lovers of Vitebsk, inspired by the life of Marc Chagall, is on at Bristol Old Vic until 11th June 2016.